Won't dry out! 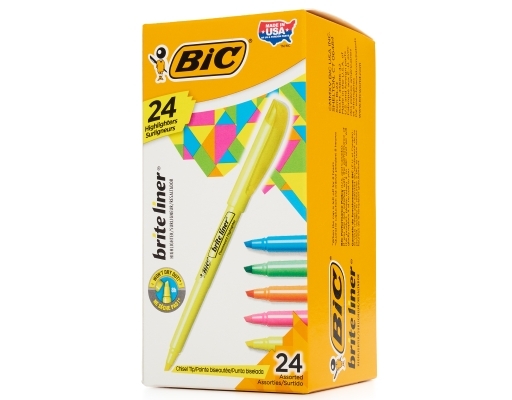 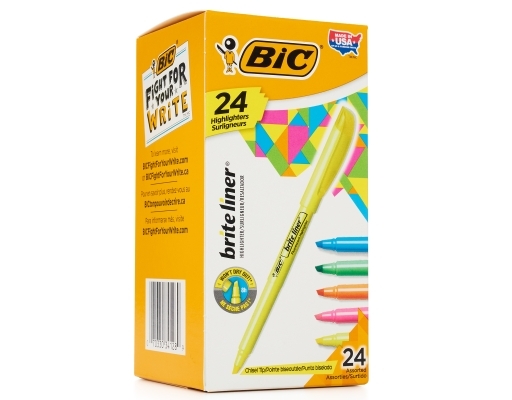 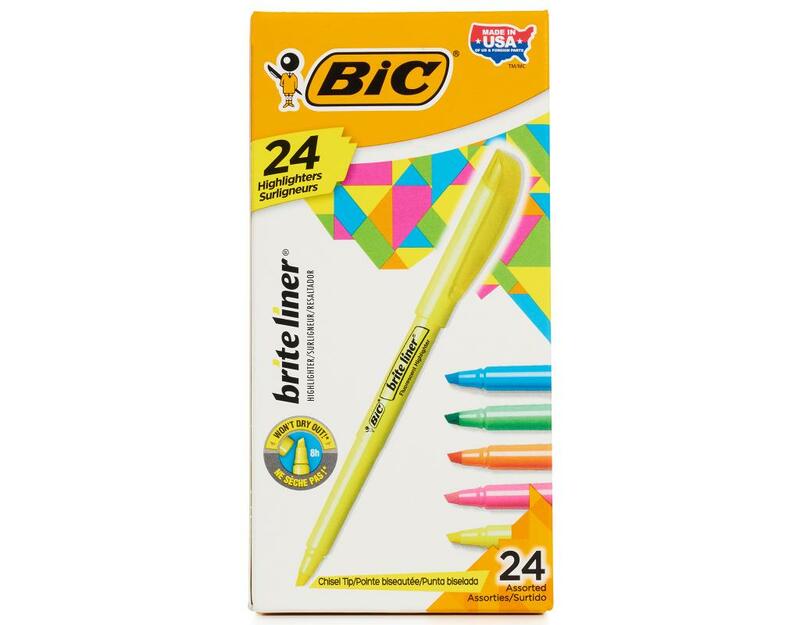 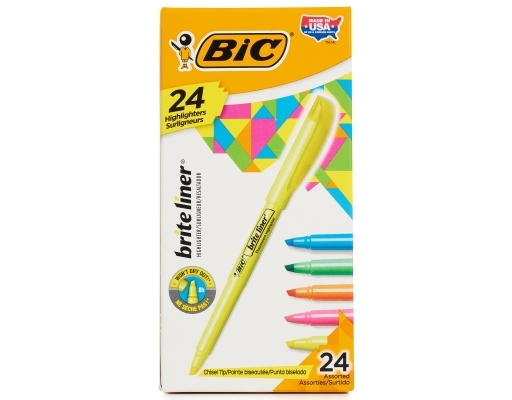 These BIC Brite Liner highlighters come in a pack of twenty-four, so it's easy to stock up, and each one has a plastic clip that lets you easily carry it with you. 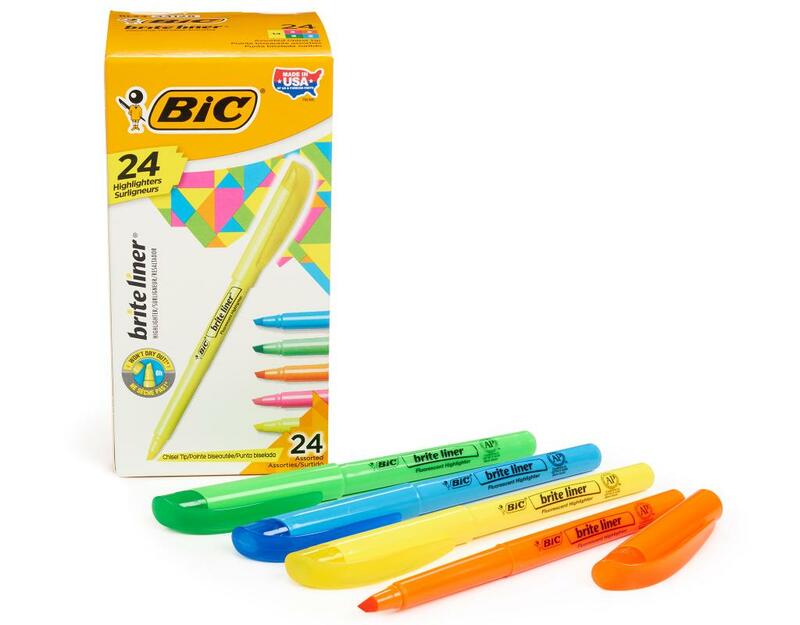 Use these assorted-color highlighters to color-coordinate notes. 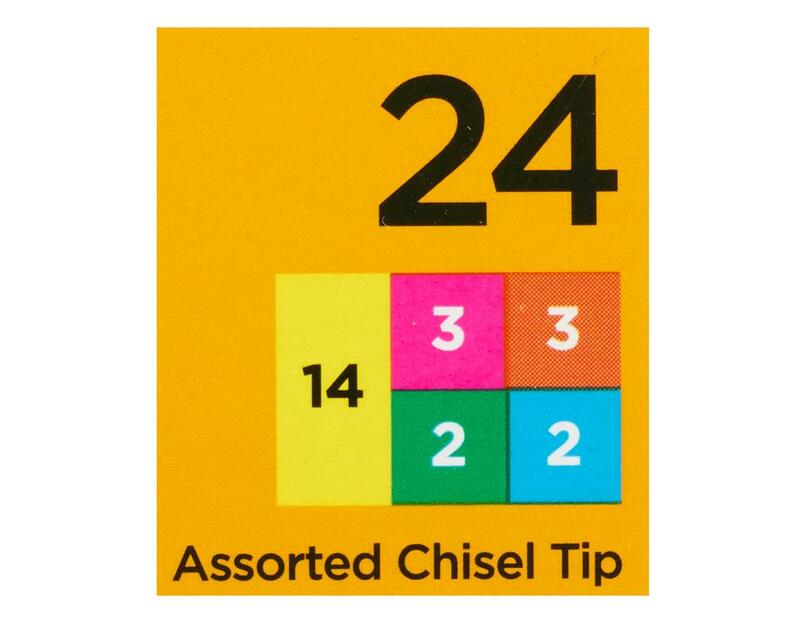 Versatile chisel tip allows for precise highlighting on both wide and narrow lines of text.